The mind/body/spirit genre is very special in that it is open to wide interpretation, inclusions, philosophies, beliefs etc. and each of these different interpretations are very personal to the author and the reader. People get very emotionally connected to their particular spiritual path, philosophical understanding of the world, and belief system unlike in other genres like fiction, where the stories are fascinating, often riveting but the stories do not strike a cord at the heart of the readers beliefs. It is not hard for me at all. I wait until I have a spark, then I sit down and start to write. The way I write is directly from the heart and so the words just seem to flow. If I find that the words are not flowing after a bit of time writing I walk away. Writing about Spiritual beliefs and experiences really is inspired by the Spirit and so when the time to write is right, it seems that I get some inspirational help and it is like the words just come from somewhere else. If the reader sends their comments to me via email from my website I always respond. I love to hear from the readers and find out how my books have helped them heal from loss or transform or confirm their individual beliefs. I am not sure how other writers write; I only know how I do it. I get a spark of inspiration while driving, or doing errands and when I do, I get back to my computer as soon as possible and just start writing. I write from the heart so my words just flow, I do not think about sentence structure, or tenses, I just write. Once I am done with that writing block I read what I have written and make any fixes needed at that time. Because I write the way I speak, I usually like what comes out the first time. The editor then gets to look it over and make sure my sentences are correct! Yes! All of my books have a big Spiritual message. The neat thing about the messages in my books, because most of them come from Spirit communications, at least thus far, each message has a different meaning to each different reader. The reader gleams exactly what they need out of the messages for that time in their life. If they go back and re-read they will most likely pull something different out of the books. My whole heart. I am more open and honest and exposed in my books then I am in my life. In my life I am very private and do not talk about myself, but my deepest feelings and beliefs come out in the book; they basically spill out onto the pages! YES! 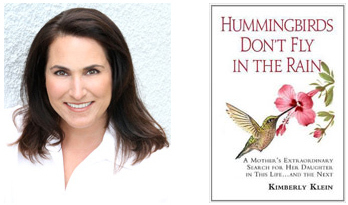 My first book, Hummingbirds Don’t Fly In The Rain is based on my life completely! They are very real. Every word is based on a true event that happened, the way I lived it, heard it, or experienced it. My newest book, that is not quite done yet, is a product of reader request. It is about Spirit signs. What are they, how do you detect them, interpret them, and how do you foster more communications from your loved ones in the Spirit world. I am using examples from my life as well as some from very close friends and some readers. The thing with Signs is that no one can interpret them for you. Each sign is individual. There are some cultures that assign certain meanings to various animals, and if you see that animal it means X or Y in that culture, but you really cannot adopt that to your own life. The sign is very dependent on person, place, and context. I think it is a very rare writer that is independently wealthy before they start to write, or who makes it big, to the point they are considered wealthy because of their books. There are so many people out there that write from the heart because they have a passion for it and they do not make a penny, and are struggling to earn money from a regular job but continue on because of their passion. Yes, it is always me! Have any of your books been adapted into a feature film? Not yet but I have been told that Hummingbirds is a perfect book for that. I have some really great ideas on how the movie would go I am just waiting to tell someone in Hollywood! Yes. I choose my own Publicist as well as choose my own ads for various magazines. You do not need a big publisher, but it does take a lot of money to get proper marketing and it can drain you! I think most readers do not understand that Spirituality is not religion. A lot of people I have come across ask me what genre I write in, and when I tell them they say oh, so you are religious? I then have to tell them that no, not at all, I am spiritual, not religious. 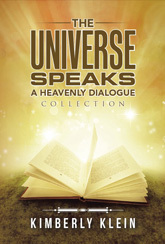 Religions follow a doctrine, are organized, have rules that you must follow or you do not get to where you want to go….. Spirituality is having a connection with the universe and your creator directly and not through a mediator. This one, Hummingbirds Don’t Fly In The Rain! For me, non-fiction. It all comes from inside me. Also I am incapable of making anything up! I cannot play poker and I cannot make up stories! I do, but I think there are people out there that are gifted writers with great imaginations that can write anything whether they believe it or not. Yes, anyone that contacts me with questions I am there to help them. This is a big one; to heal the earth and bring happiness to all. If I can not do this, then I hope to heal as many people as possible from the pain of closed off beliefs and of the loss of loved ones who are not gone, they are still there waiting to be talked to! Yes. I was very bad at keeping up but I am starting to get back to it.